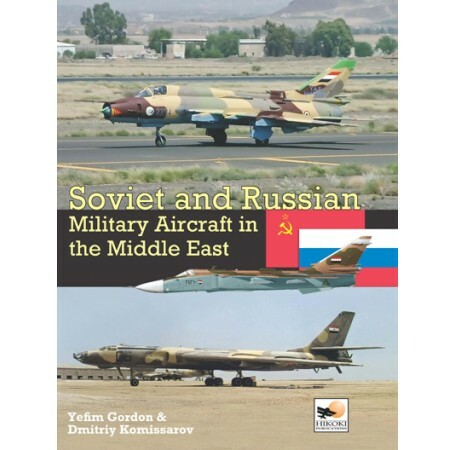 Arranged by country and using previously classified sources, Soviet and Russian Military Aircraft in the Middle East includes details of combat use and comprehensive fleet lists of all known Soviet/Russian military aircraft. Mikoyan MiG-15 and MiG-29 fighters, Sukhoi Su-7 and Su-22 fighter-bombers, Su-24MK tactical bombers, Su-25 attack aircraft, Mil' Mi-8/Mi-17 and Mi-24/25/35 helicopters, Antonov An-12, and Il'yushin Il-76 transports all played their parts in the region's conflicts. 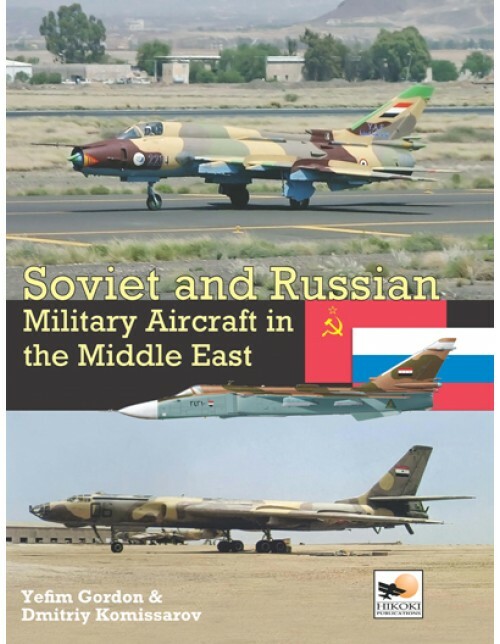 Arranged by country and using previously classified sources, Soviet and Russian Military Aircraft in the Middle East includes details of combat use and comprehensive fleet lists of all known Soviet/Russian military aircraft. Highly illustrated with over 375 photographs, national insignia and over 150 color profiles the book forms an invaluable reference for modellers, enthusiasts and aviation historians alike. Yefim Gordon was born in 1950 in Vilnius, Lithuania (then part of the Soviet Union) and graduated from the Kaunas Polytechnic Institute in 1972. He has been researching Soviet and Russian aviation history for more than 40 years and has collected one of the world's largest photograph and document archives on the subject. A professional aviation journalist and photographer since 1989, Yefim Gordon has published hundreds of features and photographs in Soviet, Russian and foreign aviation magazines. He has also authored and co-authored more than 100 books on Soviet and Russian aviation which are published in seven countries. Currently Yefim is one of the owners of the Moscow-based aviation publishing house Polygon Press Ltd.